Ryan Reynolds reprises his role as kickass superhero Deadpool in the sequel which quite frankly disappointed on all levels. Perhaps, my mood wasn’t quite into hyper-vulgarity or sleazy violence or spoof making. 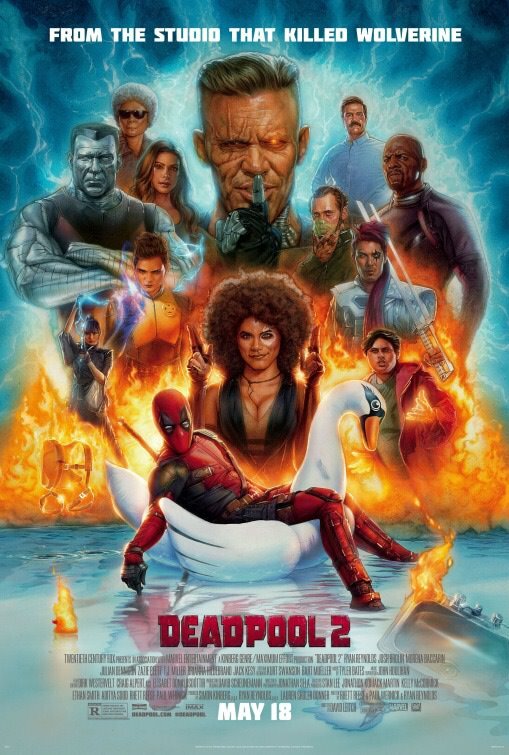 Deadpool 2 makes fun out of everything from Barbra Streisand in Yentl to the X-Men franchise as well as creating a messy comic book pastiche which doesn’t take itself or the audience to seriously. My view is that as sequels go, this was terrible. The only redeeming feature of Deadpool 2, is Oscar nominee Josh Brolin (Milk) superb turn as the tortured villain Cable an intergalactic strongman who comes back to the contemporary world to try and stop a mutant teenager Firefist played by Julian Dennison from running rampage in a creepy orphanage run by a sinister headmaster played by the ubiquitous Eddie Marsan (7 Days in Entebbe, Mark Felt, The Exception). Morena Baccarin reprises her role as Wade Wilson’s girlfriend Vanessa whose romantic life gets tragically cut short. Audiences definitely have to be in the right frame of mind to watch Deadpool 2 and perhaps I wasn’t. That said, some will find it hilarious while others find it stupid. Ryan Reynolds obviously doesn’t take his career that seriously and let’s hope there is not going to be a third Deadpool, but knowing the ever expanding Marvel Cinematic Universe there is always room for more. Deadpool 2 gets a Film Rating 6 out of 10 and is strictly recommended for audiences that enjoyed the original film. Ultimately, every film finds a unique audience.